As I alluded to in my first post, I’m graduating from college soon, but unfortunately I still have the hurdle of finals week to jump through. I wrote my first post because it was on my mind and I wanted to at least get things going, but I knew that after that the blog would be stagnant for a few weeks while I wrapped up a hellish semester. My last day of classes was on Wednesday and my first final is on Saturday. The intelligent person would have spent the past two days writing his or her research paper. Unfortunately, I am not the intelligent person. Yesterday I tried out AirMech which is in alpha testing in the Chrome web browser, so it’s free! I didn’t do my homework, so I’m not sure if Carbon Games plans to keep the game free or not. Anyway, it’s fun enough, but almost exactly like League of Legends except you’re a robot/airplane instead of a mythical creature . . . I’ll probably keep it in my Chrome apps but I doubt I’ll revisit it any time soon. Having said that, I love everything indie, so props to Carbon Games for putting out a good product in a popular niche that people are playing a lot these days. After I gave AirMech a run through, I tried out the Command & Conquer: Tiberium Alliances browser game (also free and in beta testing right now). I never actually played Command & Conquer back in its hey day so I don’t know how much of this iteration is just the old game put in browser, but for a C&C virgin like myself, so far it’s been fun. Lots of base building, not a whole lot of action so far, but you get to battle other players and join alliances with others as well so I think it has some potential to be entertaining enough. And then earlier this afternoon I saw a Kotaku headline about Shigeru Miyamoto toying with the idea of making a sequel to A Link to the Past for the 3DS. My nostalgia gland went into overdrive as I thought about how fun that game is to play, and how (you guessed it) I never finished it so it’s on The List! I played it for about 6 hours tonight and got through two castles in the dark world before I realized a) I should write about this and b) I need to sleep. I think it would be pointless to review this game: everyone should play it, it’s incredibly fun and is just a well-made game with an engaging story. If you don’t play it . . . I almost said something really rude, but I’ll keep that to myself. Just play the game. What I do feel like sharing though are impressions as I delve back into this world. A) Wow, Twilight Princess was really just a remake, huh? Dark world, light world? I recently heard someone say they hated the Zelda series because everything is pretty much the same, and actually, I had to acquiesce to this person’s point. However, I say if it’s not broke, don’t fix it. Obviously people love the rote gameplay of Zelda (including myself) so more power to Nintendo. The last Zelda series game I played was Twilight Princess so it has been cool to see the origin of a lot of the ins & outs of TwiPri (is that a thing? 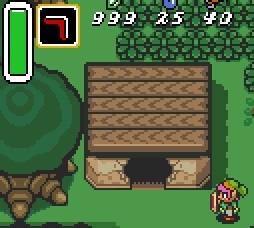 I don’t want it to be but I’m gonna leave it) in ALttP (that can’t be a thing, but again, I’m just gonna abbreviate). B) That music! As it all started up again I was loving it! Bobbing my head, chair dancing, making syllabic noises along with the instrumentals! And then I realized every theme is no more than 12 bars repeated, over and over and over . . . Granted that’s true of a lot of videos games now, and particularly a lot of earlier video games. But still, it’s an interesting comparison between music now and then. And who am I kidding, I still love it. NOSTALGIA. C) I watched my brothers play this so often that I know where everything is even having never beaten it before. It’s fun pretending that I’m really good at video games. How did people ever find this? Granted, it's kind of random so logic would say "just try to bomb it" but man, the no-crack-in-the-wall bomb spot . . . good thing I remember my brothers blowing it up. D) You guys, I am really bad at video games. Throughout the quests for the 3 pendants and even all the way up to fighting the wizard in the light world, I was cooking! I don’t think I died once, I was just going to town on all of those baddies. Then I hit the dark world dungeons and I died about a million times. Give or take a few hundred thousand. Seriously, I am bad. I’m confident I’ll get better but man. There was much swearing. And much wishing I could mod armor or something modern gaming-ish like that for Link. Although I gotta say, the Master Sword with full health is always a fun combination. This clown took me way too long to even get to, and I feel bad about myself because of it. E) The modern gaming notion of hording and checking every nook and cranny for potential items is great to apply to older games. I was grass cutting and bush whacking in every frame and got 999 rupees in no time. And then I bought the Zora flippers and spent the rest of my dough increasing my bomb and arrow maximums, and then I got 999 again. Anyway, that’s all for now. 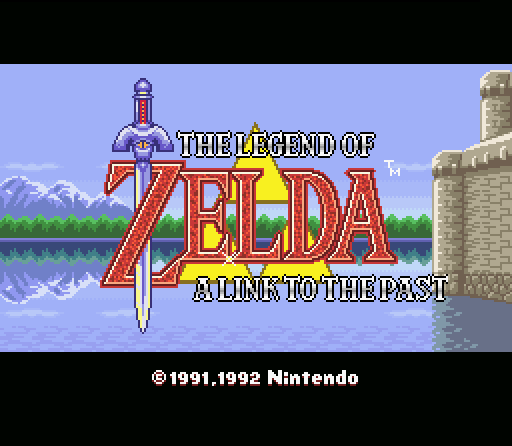 My “official” ALttP post will be up once I finish the game but, in an effort to actually pass my final exams, that may not happen for a week or so. If you have any commentary or questions about Zelda, AirMech, or C&C, leave a comment!